Jumping rope is simple and effective exercise, but it can be killer on your feet! To protect your bones and joints, you need shoes that have extra support in the midfoot area as well as foot and ankle stability. Cross-trainers are the best athletic shoe for jumping rope because they have more support and cushion than running or walking shoes. These are our picks for the best jump rope shoes for men and women. Long-distance runners favor New Balance running shoes for their durability and support. Since professional runners use the balls of their feet, this brand is perfect for those who use jumping rope as part of their fitness regimen. 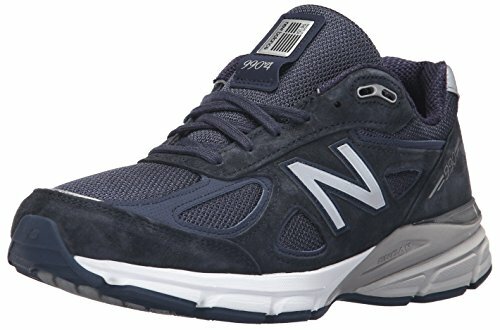 Although the New Balance Men’s 990v4 is a running shoe, it has the characteristics of a cross-trainer. More flexible than a traditional walking shoe, the 990v4 has more support around the foot and ankle than similar models. It comes in multiple color schemes and size options, and leather overlays reinforce the breathable mesh upper around the parts of the foot most prone to injury. The New Balance 990v4’s ENCAP technology supports the ball of the foot, making it ideal for those who jump rope regularly. Combining the flexible EVA foam rubber and stronger polyurethane, the midsole absorbs impact when landing on the balls of your feet, with great bounce-back. The shoe also has an EVA memory foam insole for even more cushion under the balls of your feet. The dual-density foam in the ankle collar and tongue also give an added layer of protection. The support of this shoe also makes them an excellent choice for overpronators. These long-lasting shoes run true to size, but they do have a narrow fit. You should order a size width up from your usual footwear. The blown rubber outsole combined with the EVA foam/polyurethane rubber midsole make the shoe heavier than other athletic shoes. The leather overlays limit the mesh upper’s breathability, but they are necessary during repetitive jumping motions. 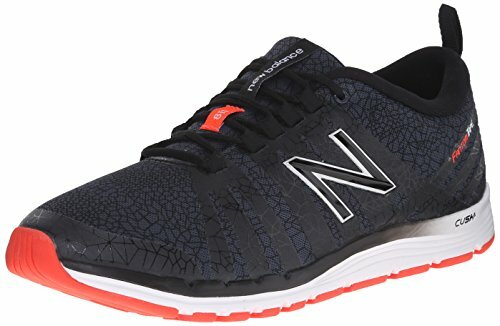 Although the New Balance Men’s 990v4 Running Shoe is expensive, the protection and support it offers make it our choice for the best men’s shoe for jumping rope. 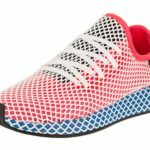 RYKA is a women’s-only shoe manufacturer that designs fashionable and comfortable athletic shoes for a variety of fitness regimens. The RYKA Women’s Influence Cross Training Shoeis popular among workout classes, such as Zumba or dance aerobics. However, their design covers a wide range of high-impact aerobic exercises. In a unique design, the double-layered mesh upper has Flex-Foil overlays for more strength while Direct-Fuse technology seals the layers together, eliminating seams that can unravel. This process makes the shoe as lightweight as possible with enough support for your foot. With a comfortable padded tongue and ankle collar, the RYKA Women’s Influence Cross Training Shoe has a stable midsole and an energy-efficient insole. The midsole has dual-density foam that absorbs impact and cushions the foot. The removable dual-density insole’s Comfort Fit Precise-Return technology diffuses impact on landings, giving more spring that is ideal for jumping. A unique footprint designed outsole has excellent traction so you will always remain steady on your feet. The RYKA Women’s Influence Cross Training Shoe runs small with a tight toe box, so remember to order a larger size from your regular footwear. There is a medial post in the midsole which is supposed to provide arch support, but this is minimal at best. If you have a highly defined arch, you will do better with another shoe. There is a mild break-in period for your feet to get used to the upper, but this only lasts for a few wears. The foam insole does wear down quickly, but you can replace it with an insert or orthotic. 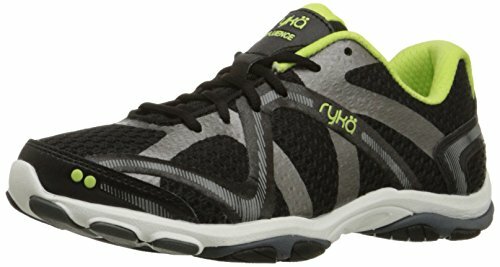 The RYKA Influence’s distinctive design and support make it our choice for the best women’s shoe for jumping rope. Saucony has built its reputation on studying athletics to design the most supportive fitness shoes. 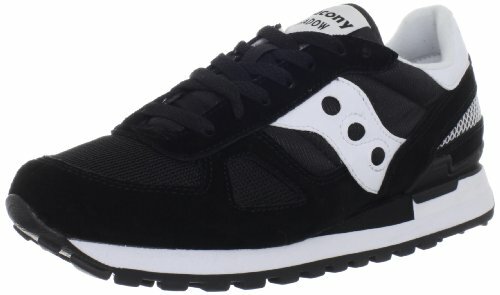 The Saucony Originals Men’s Shadow Original Sneaker is an update on their initial design. The company’s superior manufacturing make this a durable shoe that fits a variety of exercise scenarios. This athletic shoe is available in multiple color combinations. Suede overlays over the mesh and nylon upper support the top of your foot while in motion. The raised back stabilizes the heel, and the padded ankle collar and tongue make the shoe more comfortable. The best features of the Saucony Originals Men’s Shadow Original Sneaker are the excellent foot support in the midsole and the insole. The shock-absorbent EVA and polyurethane midsole relieves foot fatigue, delivering bounceback when landing on the balls of your feet. A soft EVA memory foam insole supports your whole foot during activity, and it is removable for your custom inserts or orthotics. These shoes run wide, but they are also small. You should order a size up for the best fit. The excellent support makes the shoe a little heavy, but you will get used to the weight. The budget-friendly Saucony Originals Men’s Shadow Original Sneaker provides excellent cushion for your feet while jumping rope. 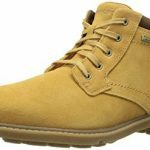 It is ideal for men with foot conditions that need a wider, supportive shoe. The Nano is a Reebok cross-trainer than has undergone rigorous testing with each update to create the most stable and comfortable athletic shoe. 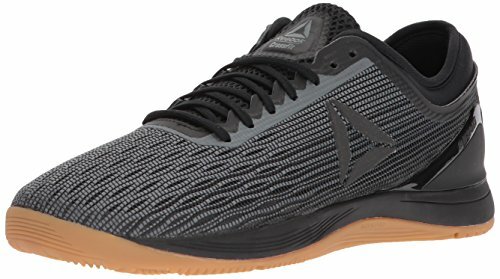 Designed for a variety of exercises, the Reebok Men’s CROSSFIT Nano 8.0 Flexweave Cross Trainer is the latest version of the Nano model. The upper comes equipped a strong Flexweave woven fabric with extra toe protection to support your feet during high-intensity training exercises that put you up on your toes. A wide toe box keeps your toes even more comfortable, allowing them to sit naturally in the front of the shoe. With only a 4mm drop to keep your feet secure to the ground, the Nano 8.0 has a Crossfit spongy outsole with excellent grip, helping you stay light and fast on your feet during several high-octane fitness regimens. The Nano 8.0’s updated design has midfoot grooves to make the shoe more flexible, and they give more support for the balls of your feet. You may have to order a size up to get the best fit because the shoe runs narrow. The only significant downside to this shoe is that the upper doesn’t hold up well and it can rip easily. This isn’t likely to happen if you use the Nano for jumping rope; other high-intensity workouts can wear down the upper much quicker. 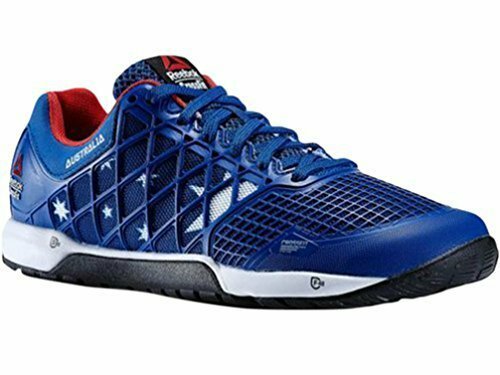 If you are looking for a lightweight cross-trainer that supports the balls of your feet for your rope regimen, the Reebok Men’s CROSSFIT Nano 8.0 Flexweave Cross Trainer is an excellent option. Skechers is one of the most famous footwear companies in the world, designing shoes that range from casual to fitness. 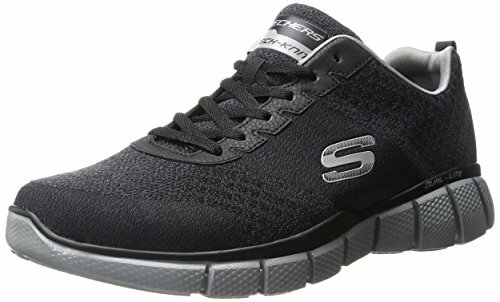 The Skechers Men’s Equalizer 2.0 True Balance Sneaker is an athletic shoe with great cushion that comes in several color schemes. 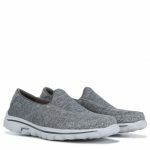 Its lightweight design includes a flexible rubber outsole with good traction and a comfortable knit fabric upper. Thicker mesh located at the toe, heel, and sides of the shoe makes it more durable. Although the mesh top lacks the support of athletic shoes with leather or synthetic uppers, the True Balance makes up for it in its supportive midsole and insole. The Dual-Lite midsole is shock-absorbing, diffusing impact when you land on the balls of your feet. The insole is a combination of Air Cool memory foam and dual-density gel that forms to your foot for more cushion on landing. This relaxed fit sneaker’s memory foam/gel insole doesn’t have much arch support, so it is better for men with wide, flat feet. Unfortunately, the insoles are glued in, so removing them for a custom insert is difficult. These shoes do run large and wide, per their design, but they have a narrow toe box. Those who like more room in the toes should find another model. The rubber outsoles do not last long on pavement or other abrasive materials, so you should only use them for indoor fitness to help them last longer. 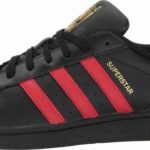 The shoe itself doesn’t hold up as well as other athletic shoes, so take advantage of the lower price tag to invest in multiple pairs. Reebok has been a trusted name in fitness wear since the 1950s. Athletes from varying disciplines favor Reeboks for their stability and comfort. The Reebok Women’s Crossfit Nano 4.0 Training Shoe is a cushioned, shock-absorbent shoe that suits various high-intensity workouts. Although the company has released consistent updates on the model (up to the 8.0), this model has more support and stability ideal for jumping rope. With Reebok’s Duracage technology, the mesh upper has synthetic overlays that stabilize the foot while keeping the shoe extremely light. The Nano 4.0 also has an EVA midsole for shock absorption for jumps and landings. Extra dual-density foam pods in the ball of the foot and heel diffuse impact from your joints. The company’s patented MetaSplit multi-traction outsole splays at the forefoot on impact, reducing stress on the bones of the feet when landing on the ball of your foot. A roomy toe box lets your toes rest naturally in the shoe, and the padded tongue and ankle collar offer additional comfort. This lightweight and comfortable training shoe runs small, so you’ll have to order a size up to get the best fit. There is little arch support if you have an extremely defined arch. The insoles are not removable, so order two sizes up if you plan on using a custom insert or orthotic. With its snug fit, the Reebok Women’s Crossfit Nano 4.0 Training Shoe may uncomfortably rub against your ankles. Wearing the right size can alleviate this problem. Although the Crossfit Nano 4.0 is expensive, its stability and forefoot support make it an excellent choice for women who jump rope often. Another women’s fitness shoe made for high-intensity interval training is the PUMA Women’s Cell Riaze Heather Cross-Trainer Shoe. The company specifically designed this lightweight and budget-friendly cross trainer for a woman’s foot. A textile upper with synthetic overlays that cover the entire foot protect the toes and midfoot from injury. A high back also offers extra heel support. The rubber outsole has great traction, so you can work out indoors or outdoors. The PUMA Riaze Heather has a roomy fit with a wide toe box to keep your feet as comfortable as possible. The PUMA Women’s Cell Riaze Heather Cross-Trainer Shoe has incredible support in the insole and the midsole. A memory foam insole supports your arch, but women with high, defined arches can easily remove it for another insole with more cushion. The midsole is more rigid, but it is flexible enough to cater to your movements. The support in the Riaze Heather makes it ideal for women who keep up with intense fitness regimens. The shoe holds up well, so it won’t fall apart easily like other fitness shoes. It runs true to size, but it does have a narrow fit. You should order a size up, especially if you replace the insole. 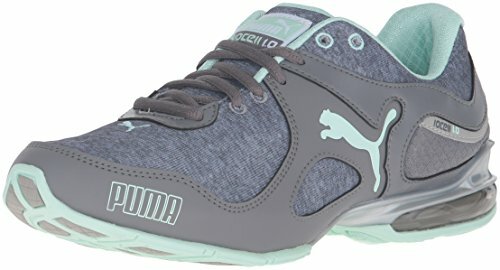 The PUMA Women’s Cell Riaze Heather Cross-Trainer Shoe’s stability, durability, and support make it a favorite among women athletes. If you favor high-intensity interval training, a supportive and cushioned shoe will help avoid foot and ankle injuries. Many athletes incorporate jumping rope into their HIIT regimen, so they need footwear that offers stability and comfort. The New Balance Women’s 811 Training Shoe is ideal for women who reach past the traditional walking and running to stay in shape. A mesh upper is breathable, with synthetic overlays to stabilize the midfoot. The shoe is lightweight, so it is great for jumping and lateral movements. A rubber outsole with excellent traction keeps you secure on your feet on smooth surfaces, such as a workout gym or hardwood floors in your home. The 811’s removable cushioned insole has extra padding in the ball of the foot that diffuses impact on landing. New Balance’s Cush+ technology adds both cushion and stability to the midsole. It provides superior bounceback during your intense workouts, relieving foot and joint pain. The heel support in the shoe isn’t as impressive as the forefoot, so it is best for women who perform exercises on the balls of their feet. If you have high, defined arches, you will most likely need to replace the insole with one that suits your needs. Although the ankle collar and the tongue have foam padding, one side of the tongue is sewn to the upper. This can make the fit along the top of the foot a little uncomfortable. The 811 runs small and narrow with a tight toe box, which is unusual for a New Balance shoe. With a streamlined fit, it can fit uncomfortably around your ankle. When purchasing your pair, make sure you get the right size to eliminate rubbing and blistering. Although the shoe has an updated model, the 811v2, the newer version lacks the support of its predecessor. Despite a few drawbacks, the New Balance Women’s 811 Training Shoe’s stability and comfort on the balls of your feet make them an excellent choice for jumping rope. When you add jumping rope to your fitness regimen, you will see results in a short amount of time. Not only will you feel a difference in your endurance, but it also burns fat as part of a high-intensity interval training program. Any of the shoes on this list would be ideal for this exercise. It is difficult to find the right shoe for this activity; there aren’t designated shoes exclusively for jumping rope. Cross-trainers offer the support your feet and joints need during any cardio exercise, including jumping rope. We recommend the New Balance Men’s 990v4 Running Shoe and the RYKA Women’s Influence Cross Training Shoe. They create the perfect conditions for jumping and landing on the balls of your feet. The support and bounce back in the midsoles give you the ability to push harder during your workout to get the best results.